Digital mapping services have emerged as one of the most powerful growth areas in information technology. "I honestly think we're seeing a more profound change, for mapmaking, than the switch from manuscript to print in the Renaissance," says the University of London cartographic historian Jerry Brotton. "That was huge. But this is bigger." The transition to print gave far more people access to maps. The transition to digital mapping accelerates and extends that development – but it is also transforming the roles that maps play in our lives.  The development of mobile computing (PDAs, tablet PCs, laptops, etc.) has spurred the use of digital mapping in the sciences and applied sciences. Science fields that use digital mapping technology include geology, engineering, architecture, land surveying, mining, forestry, environmental, and archaeology. A research study in South Africa has found the main reason why some companies may not yet be using digital mapping is that they don't know what it has to offer. In this section we would like to analyse digital mapping and consider the impact that this is having on making roads safer! Digital mapping (also called digital cartography) is the process by which a collection of data is compiled and formatted into a virtual image. The primary function of this technology is to produce maps that give accurate representations of a particular area, detailing major road arteries and other points of interest. The technology also allows the calculation of distances from once place to another. The roots of digital mapping lie within traditional paper maps. As digital maps have grown with the expansion of GPS technology in the past decade, live traffic updates, points of interest and service locations have been added to enhance digital maps to be more “user conscious." Traditional “virtual views” are now only part of digital mapping. Users can now choose between virtual maps, satellite (aerial views), and hybrid (a combination of virtual map and aerial views) views. With the ability to update and expand digital mapping devices, newly constructed roads and places can be added to appear on maps. Digital maps heavily rely upon a vast amount of data collected over time. Most of the information is the culmination of satellite imagery as well as street level information. Maps must be updated frequently to provide users with the most accurate reflection of a location. While there is a wide spectrum of companies that specialize in digital mapping, the basic premise is that digital maps will accurately portray roads as they actually appear to give "life-like experiences." 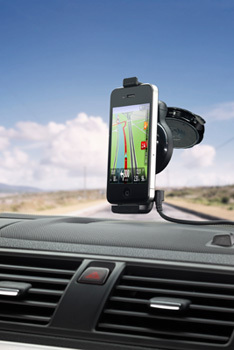 GPS is the foundation behind digital mapping navigation systems. The coordinates and position as well as atomic time obtained by a terrestrial GPS receiver from GPS satellites orbiting Earth interact together to provide the digital mapping programming with points of origin in addition to the destination points needed to calculate distance. This information is then analysed and compiled to create a map that provides the easiest and most efficient way to reach a destination. The beginning point, entered via GPS coordinates, and the ending point, (address or coordinates) input by the user, are then entered into the digital map. The map outputs a real-time visual representation of the route. The map then moves along the path of the driver. Accurate public road, traffic and travel data are key elements required to guarantee the availability of intelligent digital maps - allowing the use of in-car navigation devices, routing for travel planners and all kinds of traffic management applications. An increasing number of applications in the transportation industry rely on the availability of accurate digital maps describing the road network geometry, topology and traffic related map attributes such as traffic regulations. The primary uses of mapping services in the transportation industry historically revolved around asset tracking services, such as fleet management, vehicle tracking and recovery and navigation. Efforts to enhance road safety are often based around the 5 E’s of engineering, education, encouragement, enforcement and evaluation. 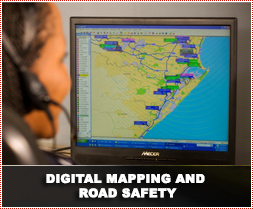 It is especially in engineering and evaluation where digital mapping plays a crucial role for safer roads. Nations across the world are benefiting from GPS Technology in achieving the goals of greater road safety. International departments of transportation are loading up their geospatial data layers and taking them on the road to map the locations of every pavement segment, traffic sign, and guardrail for which they are responsible. Today there are more than one billion cars on our roads around the world. Millions of road users are using their GPS devices or applications on smartphones to find the best routes to their destinations. Traffic congestion is a big problem that virtually every government is grappling with. Traffic officials are facing challenges around affordability constraints, increasing emissions, increased road crashes and growing driver need. 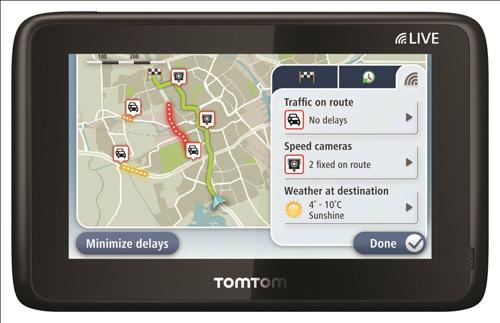 Global navigation and digital mapping specialist TomTom has recognized that it has a role to play in helping to reduce congestion in countries all over the world. TomTom has however also recognized that it is but one organisation in a large ecosystem of governments, institutions, businesses and individuals. In the efforts to create better solutions faster it will seek to cooperate with road users, governments and others in the transportation industry. In the Traffic Manifesto it is envisaged that in the future, when 10% of drivers use TomTom’s HD Traffic™ navigation system there will be what experts are calling a “collective effect”. Essentially, road networks will start to balance out and this will reduce traffic congestion for everyone. Fleet Management companies invest large amounts in research and development - enabling operators to have better control over their fleets while using modern technology. On-board computers provide fleet managers with detailed reports on behaviour of both driver and vehicle. These reports are used to modify driver behaviour and can also be used in accident prevention, accident analysis and reconstruction. Digital mapping is one of the most important tools used by Fleet Managers to ensure efficiency of routing, logistics etc. Most modern vehicle tracking systems use Global Positioning System (GPS) modules for accurate location of the vehicle. 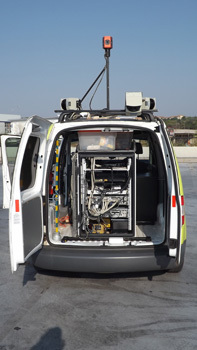 Many systems also combine a communications component such as cellular or satellite transmitters to communicate the vehicle’s location to a remote user. 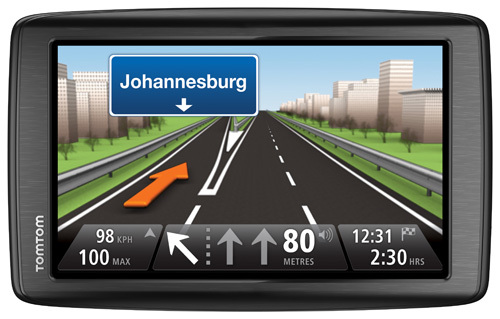 Vehicle information can be viewed on electronic maps via the Internet or specialized software. Vehicle tracking is important technology for the safety not only of fleets of vehicles –but also for the ordinary driver. This is to become even more important for road safety as the technology such as digital mapping becomes increasingly accessible and inexpensive. The accident investigator uses a wide variety of tools at the accident scene. The process of investigation is now also aided by the availability of highly accurate digital mapping and technology, specifically the on-board computers or “black boxes” which we refer to as Vehicle Telematics. Web mapping is now offered to businesses/ organizations enabling them to customize their own web map to be used in corporate web pages and various applications. 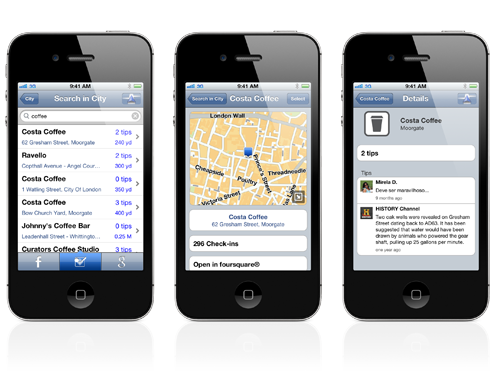 Requirements for mobile application development vary greatly, from rapid mobile application development technology for operational business use to mapping for location or promotional use. According to a survey by World Wide Worx, conducted with the backing of digital mapping provider mapIT, 76% of South African corporations and 38% of small and medium enterprises (SMEs) spend more than 2% of their information technology (IT) budgets on mapping services. For SMEs, it enhances: security (59%), efficiency (39%), productivity (38%). For corporates, it enhances: security (63%), efficiency (59%), productivity (58%). SMEs: Exactly 50% say the services are important to their business, with only 24% saying it’s not important. Corporates: 66% said the services are important to their business. SMEs: A high 72% are satisfied with the quality of the service. Only 8% were not satisfied. The European Commission in 2011 conducted a study on the practice of road data collection for digital maps in the Member States across the EU. The objectives included promoting procedures of data exchange between Member States road authorities and digital map providers, taking into account the existing or planned National and European Spatial Data Infrastructures. The European Commission, industry and other stakeholders aim to accelerate the development, deployment and use of Intelligent Integrated Safety Systems that use information and communication technologies in intelligent solutions. The goal is to increase road safety and reduce the number of accidents on Europe's roads. There is a need to define requirements for a European digital road map database, with agreed road safety attributes. The creation of a public-private partnership will produce, maintain, certify and distribute this database. Private map makers have relied upon Private sector information for map creation but also added value for the public sector. Public Authorities play a role in maintenance of digital maps in many countries today. There is a clear need for Public private partnerships especially in domains were authorities ‘manage’ the information (e.g. speed limits). The main challenge in digital mapping internationally is to ensure safe and easy access to digital road databases owned and maintained by thousands of road authorities in a standardised, non-discriminatory and transparent way. We find increased cooperation between road authorities, mapmakers and business to ensure the availability of accurate public data for digital maps and their timely updating. This is done through cooperation and participation by relevant public bodies and digital map providers. We find new data added to our maps daily. This is done not only by the mapmakers but through public participation. We now find ourselves in a seamless interactive environment. In a world of GPS-enabled smartphones, users are not merely consulting Google or Apple data stores when they consult a map: they are adding to them. Google and Apple insist that they're not interested in anyone's individual data: the commercial value lies in the patterns they can detect in the aggregate. As maps based on mined data come to shape our sense of space, to navigate our journeys, and to narrow our online searches – digital maps and search engines might not just observe our lives, but in some sense come to play a role in directing their course. Any square mile of the planet can today be described in an infinite number of ways: in terms of its natural features, its weather, its socio-economic profile, or what you can buy in the shops there. "Every map," the cartography curator Lucy Fellowes once said, "is someone's way of getting you to look at the world his or her way." Digital mapping is an important tool in the battle to ensure safer roads for all. As technology develops further and becomes even more advanced and accessible we can expect transport specialists, traffic authorities and mapmakers to find new applications where digital mapping will be an essential element in reducing road deaths and injuries.